A sparkling Angel for you today. 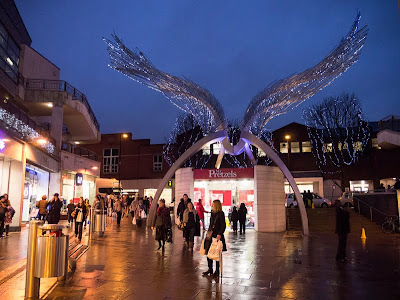 The angel wings at Angel Islington one of the biggest public art works in the city. Wow, this is soo pretty - I finally found some last-minute tickets and hoping there's a chance to see this amazing piece! Happy Holidays!